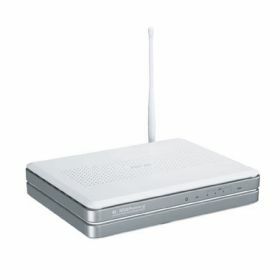 The WL-500gP V2 is able to prioritize your needs for Internet bandwidth. With Bandwidth-on-Demand, users can easily allocate bandwidth according to their individual needs by simply clicking on the buttons, such as voice or gaming, and assign more or less bandwidth to streamline streamlines multiple network activities (FTP, Games, P2P) to work smoothly at the same time. 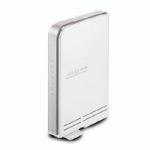 AiDisk combines simple FTP settings with the ASUS DDNS service to share files with friends easily no matter when and where the user is. 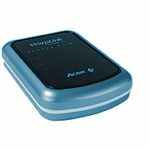 By simply utilizing the WL-500gP V2 with a USB hard disk, users will be able to create a mini FTP server at home and only requires them to setup an account and password and select the file they want to share. With the bundled AiDisk quick installation guide included in the box, users can rest easy and not worry about complicated settings. Users will be able to easily create their own FTP servers with easily recognized and meaningful hostname like: ftp://yourname.asuscomm.com , instead of a hard to remember IP addresses or URLs. Whether it´s hard drives or printers, just plug them in via the USB ports to enable other devices in the network to share their functions. Plug-n´-Share hard drive is especially worth highlight. It acts as a ftp server, which lets you backup data from your computer and use network neighborhood in Windows to browse external hard drive content. All these functions can be enjoyed without connecting the WL-500gP V2 to any computer systems. 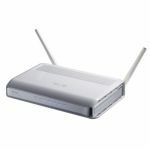 The WL-500gP V2 supports UPnP protocol and automatically searches and recognizes all digital media player in the network. It´s a piece of cake to share music and video stored through the WL-500gP V2 to any 802.11b/g-applicable devices via smooth streaming from the external hard drive to digital media players. Bandwidth allocation management is also available to ensure smooth listening and viewing experience without interruption from other bandwidth eating functions.